Clint Eastwood is headed back to the mid-state for his latest movie 15:17 to Paris, which is to be filmed at Robins Air Force Base next month. 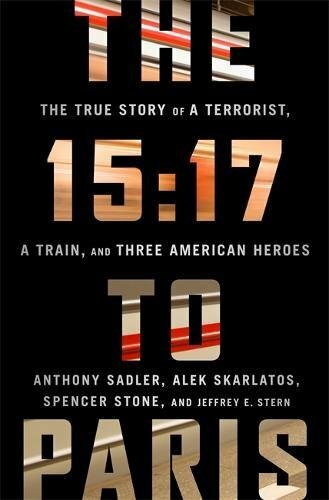 The 15:17 to Paris is an upcoming American biographical drama film directed by Clint Eastwood and written by Dorothy Blyskal, based on the autobiography The 15:17 to Paris: The True Story of a Terrorist, a Train, and Three American Heroes by Jeffrey E. Stern, Spencer Stone, Anthony Sandler, and Alek Skarlatos. A casting call for extras has been announced by Tammy Smith Casting and the movie's plot revolves around American soldiers that discover a terrorist plot on a Paris-bound train. The casting call specifically asks for military men and women between the ages of 18-30. Department of Defense cardholders are preferred and you will need to bring a copy of a signed application for off-duty employment sign by your supervisor. You MUST be on leave or in off-duty to be in the film. Meals will be provided and extras will be paid $125 for 8 hours of work.